You won’t find any wild tigers at these campgrounds, but you may find a few bears when you go camping at Lions Club campgrounds. These volunteer-operated getaways help support the international service club’s goals to create healthier, happier communities on every continent. The best part for you is, non-members can use the campgrounds too. Here’s why you should look for them whenever you go RVing. Lions Club International is over a century old. Maybe you noticed their little white eyeglass donation boxes propped in the corner of nearly every post-office in the United States and Canada. Perhaps you placed your old frames inside so that the Lions Club International chapter in your neighborhood could send them out for refurbishing. If you did that, your old eye glasses got spruced up and shipped out. The recipient was a low income person who received the gift of sight, possibly for the first time ever. This eye glass recycling tradition dates back to 1925, when Hellen Keller inspired club members to advocate for vision-impaired people around the world. But if you’re not familiar with the other projects the Lions Club takes on, you should be. Vision advocacy is just one small segment of their mission. Each day around the world, over 1.4 million club members volunteer their talents and time for community improvement campaigns. These projects include ending hunger, creating diabetes awareness programs, protecting and restoring the environment and helping children with cancer live happier lives. Despite declining numbers of service club participants around the world, the Lions continue doing important volunteer projects that improve our communities. Tucked neatly within the LCI’s important causes are the club’s dozens of campgrounds located in North America. Many are run entirely by volunteer labor and club members. Most are in Canada. The United States has a smaller selection. The club’s campgrounds range from boondocking retreats with no hookups, to full-service, five-star RV resorts with all the amenities of a privately-owned business. You’ll often enjoy below-average campground rates and gorgeous scenery in off-the-beaten-path destinations. An internet search reveals no one-stop-shop directory of Lions Club International campgrounds in North America. However, don’t let that stop you from trying to find one in your travels — especially if you’re visiting Canada in summer. 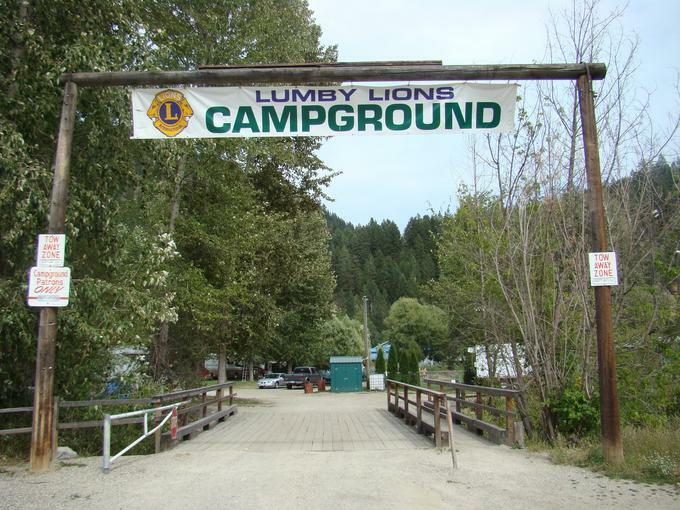 Below you’ll find the longest list of Lions Club International Campgrounds on the Internet. Lions Club volunteers lay out the welcome mat for campers. We all want our hard-earned vacation money to be wisely spent. A stay at a Lions Club International is guaranteed to make anyone feel good about paying for a campsite. Does one have to be a member of the Lions to use the campgrounds? do we have to be members to use the campground? Oh I should have said that, thanks for the input! No you don’t need to be a member. I will update accordingly.